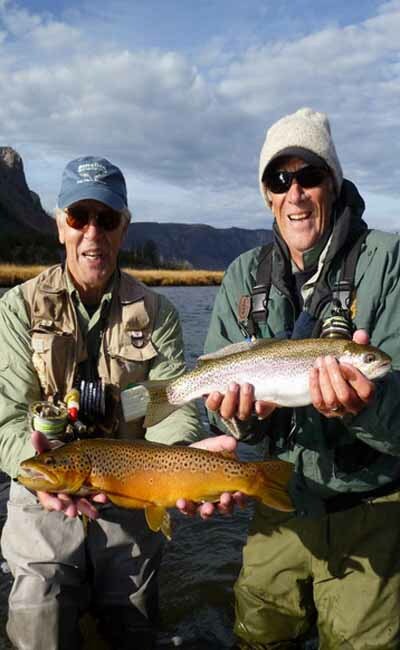 Wild Trout Outfitters, Inc. offers some exciting Montana trout fishing. Our guide service is one of the best in the 'Big Sky Country'. You will have tremendous fly fishing opportunities, and will enjoy breathtaking mountain scenery. We offer float trips on the Madison, Missouri and Yellowstone Rivers in a safe, comfortable drift boat. Two anglers with a guide have an excellent opportunity for trophy trout fishing. You can do walk and wade trips with anglers of all skill levels on the Gallatin River and many streams of Yellowstone Park. Float tube fishing is an excellent way to access the numerous alpine lakes in our area. Float tube fishing for the 'Gulpers' of Hebgen and Quake Lakes can produce huge rainbow and brown trout. Full day horse pack trips is one of the most memorable fly fishing adventures you can have. Rainbows, cutthroats and grayling are commonly found in these exceptional alpine fisheries, coupled with the majesty of alpine heights. We are located at the Canyon Square/Big Sky Business Center, south of the Big Sky Resort entrance on Highway 191.